FCP Mini-Ville proportionately “scaled” designs are the perfect solution for your smallest of barn buddies and offers the same quality and basic design as FCP full size horse barns. 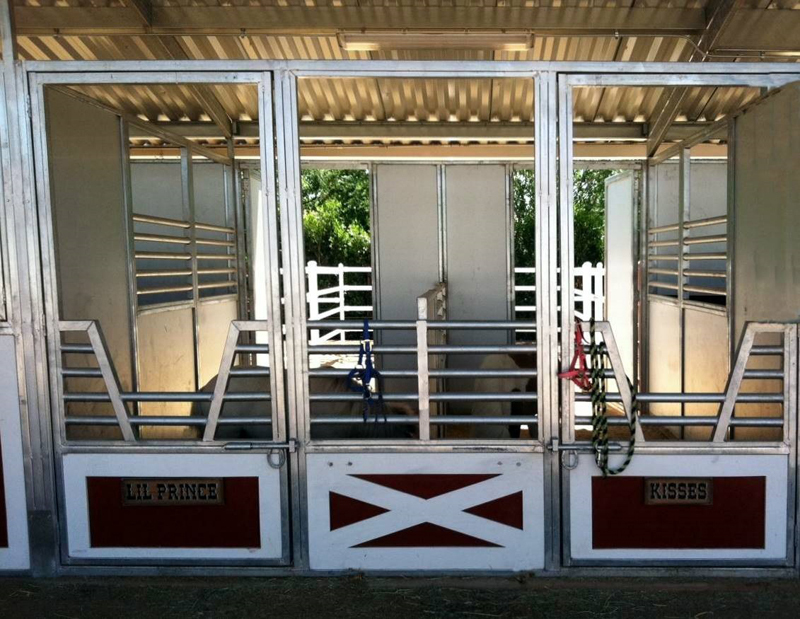 From decorative wood trimmed doors to custom grilled divider walls, FCP Mini-Ville miniature box stalls and barns offer a wide variety of options for just the right size barn requirements. 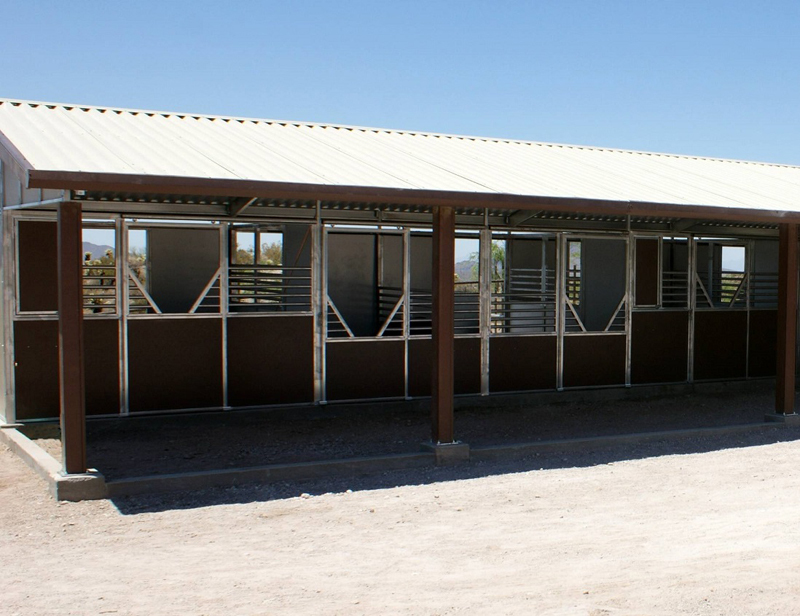 Modular mini horse barn styles include Raised Center Aisle, Gable, Shedrow and Mare Motel barns. Custom designs can be developed to meet unique or complex needs. 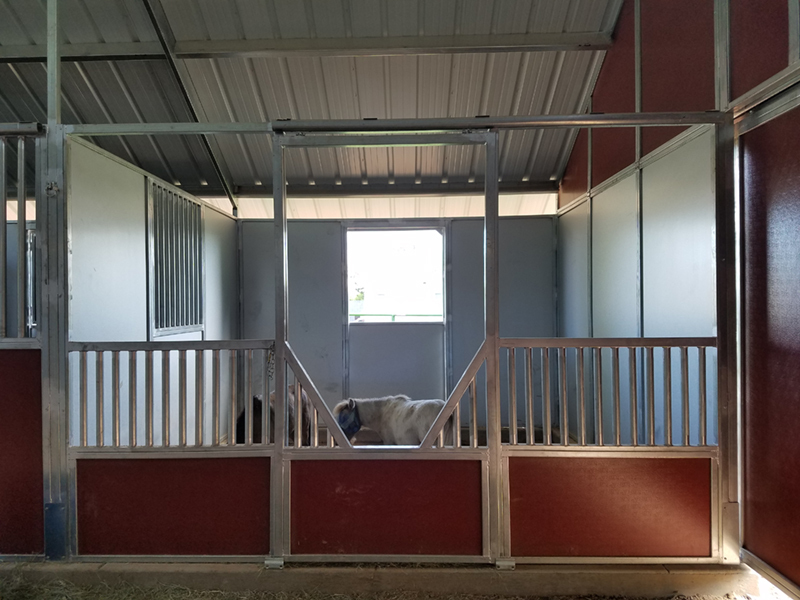 Our miniature horse barn shelters are designed for the specific needs of miniature horses and can be designed to provide a complete shelter for all outdoor conditions. 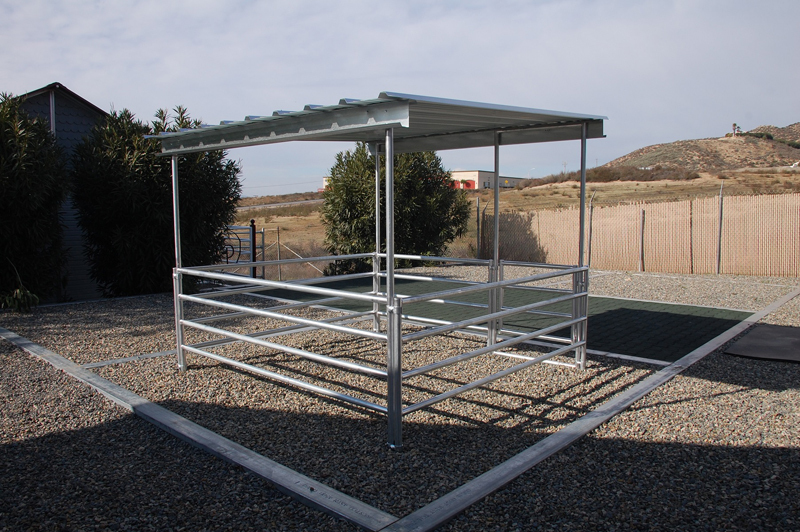 With stunning good looks FCP Mini-Ville miniature horse shelter and corral combinations are rugged hardworking pipe frame structures. Completely expandable, buy only what you need to start and simply add-on as your requirements grow. Individual mini horse shelters easily palletize for convenient shipping throughout the United States. FCP’s Mini-Ville complete lineup includes miniature horse barns, stalls, loafing sheds, pipe corrals, shelter systems and more…. From pot belly pigs to miniature ponies, the versatility of FCP Mini-Ville product allows for the adaptability in accommodating all types of small livestock. With years of creative innovation and leadership in the animal housing industry, the FCP team has the expertise to design and manufacture to your unique specifications. For quality miniature horse and livestock products look no further..!